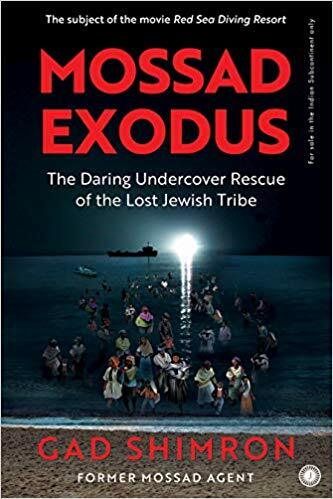 The daring undercover rescue of the lost Jewish tribe the subject of the movie red sea diving resort the amazing story told first-hand by Gad shimron in Mossad exodus is now the subject of a new movie called red sea diving resort. In 1977, Israel’s Mossad spy agency was given an assignment far different from its usual cloak and Dagger activities. It was ordered by then prime Minister menachem begin to rescue thousands of Ethiopian Jewish refugees in Sudan. No stranger to action in enemy countries, The agency established a covert forward base in a deserted holiday village in Sudan, and deployed a handful of operatives to launch and oversee the exodus of the refugees to the promised land, by sea and by air, in the early 1980s. This book offers a thrilling first-hand account of how the operation was put in place, and how the Mossad team in Sudan brought it off, despite great personal risk, running a partying vacation spot, arous holiday village, for wealthy tourists by day as they stole through the Sudanese desert to rescue desperate refugees by night. Author Gad shimron was one of the agents based at arous. Enhanced by his wide-ranging historical observations and his crisp, incisive prose, this is at once an entertaining read and a powerful tale of idealistic heroism.